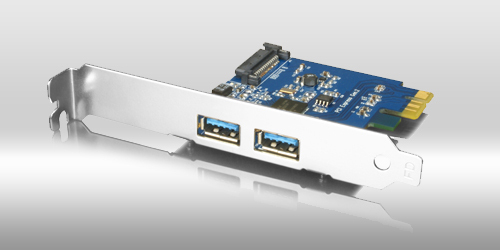 USB 3.0 PCI Express Card possesses one or two USB 3.0 ports respectively. The USB 3.0 (5 Gb/s) transfer rate is up to 10 times faster than USB 2.0! It is not only backward compatible with USB 2.0 and USB 1.1, but can also collocate with RAIDON products. Especially when using with SSD, USB 3.0 PCI-E card provides excellent transfer rate which is suitable for user who demands external storage for capacity expansion.